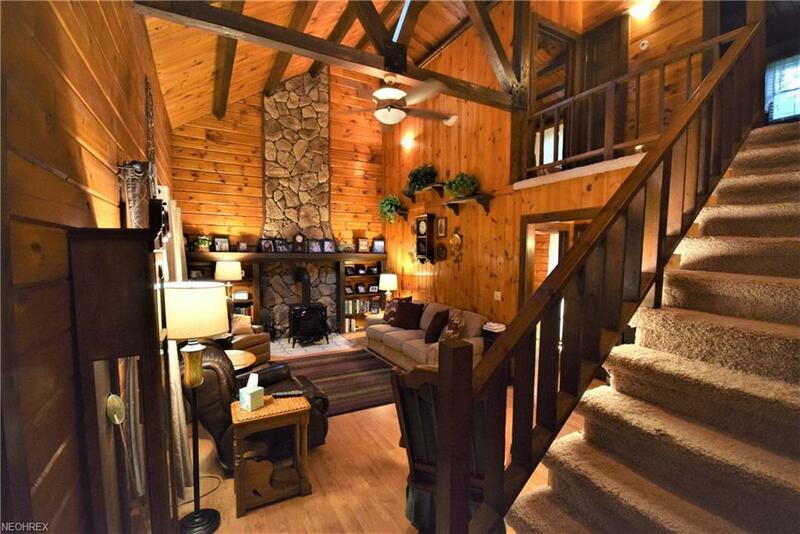 Make every day feel like a getaway in this 3-bedroom, 2-bathroom rustic log home. The wood burning stove and stone chimney in the living room make it a cozy place to gather around. The updated kitchen has been completely updated with new cabinets, granite counters and updated appliances, making it a great place to cook and entertain. 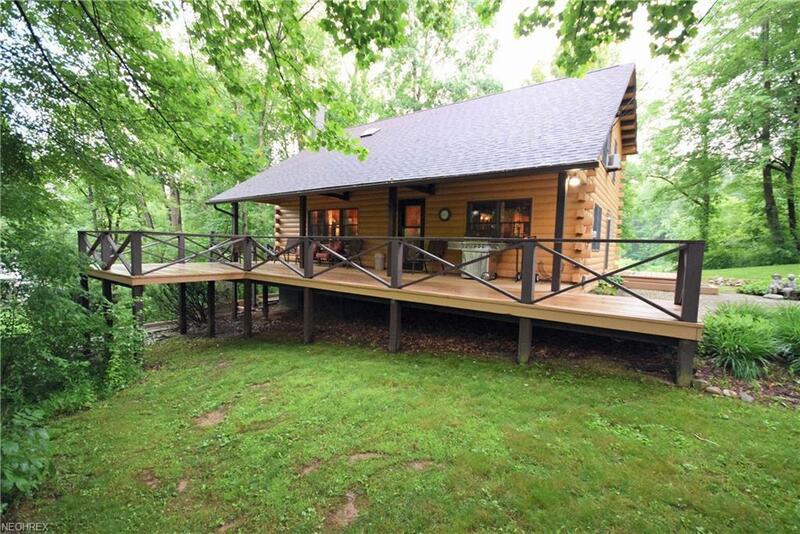 Not only does this house have a gorgeous interior; it also has a large, elevated deck that allows you to enjoy the outdoors under covered roof or under the shade of the surrounding trees. Recent updates include a new roof, gas/boiler hot water tank, and leaf guard gutters. 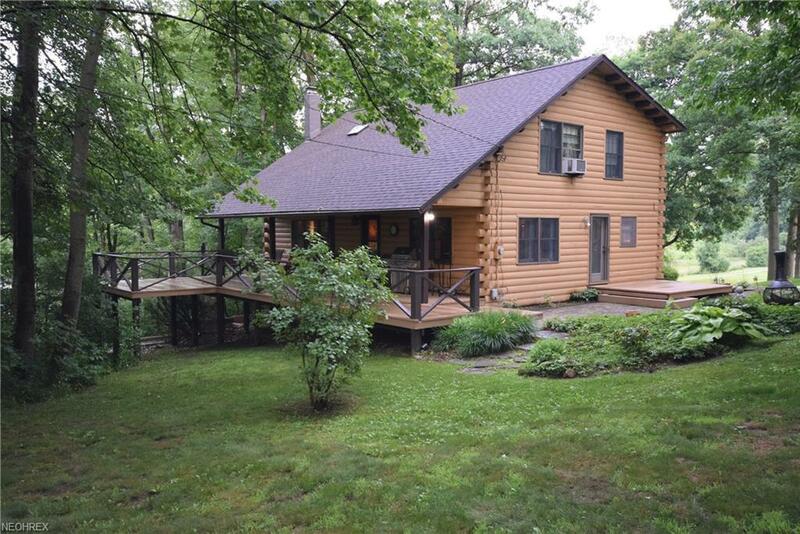 This property has the seclusion and entertaining space you've been looking for. 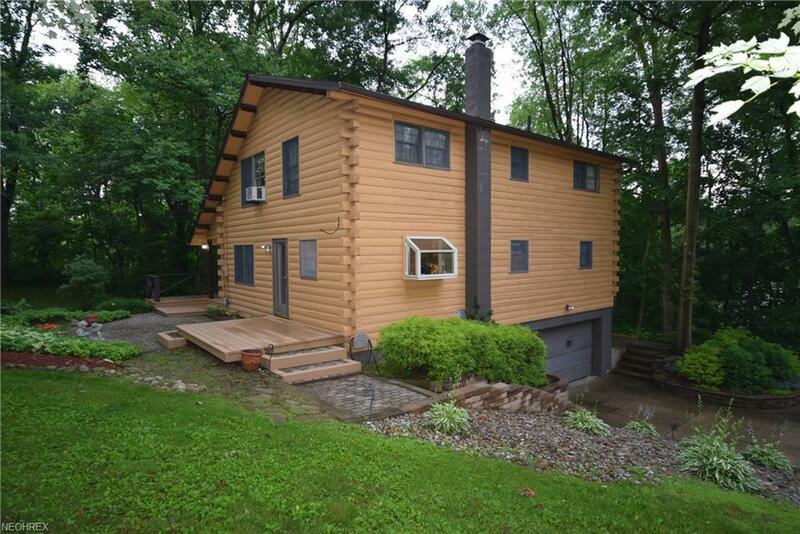 Don't wait until this is sold! Call today for a private showing!